The Elk River Watershed, covering over 500 square miles, is the largest sub-watershed of Grand Traverse Bay. It is home to the famous Chain of Lakes, 55 miles of connected lakes and streams in Antrim and Kalkaska Counties. 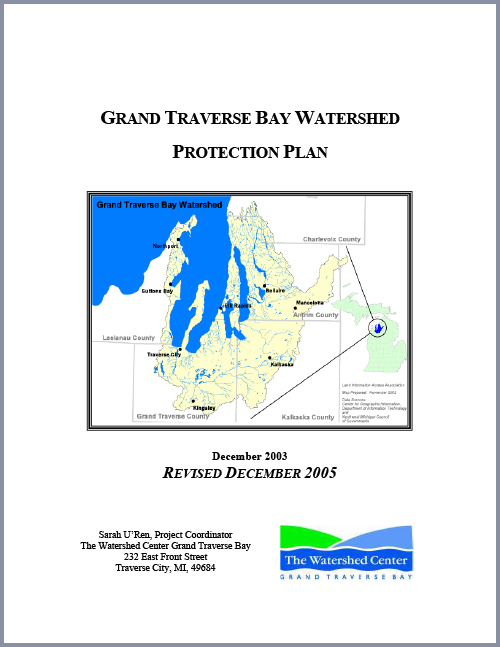 Issues pertaining to the watershed are being addressed under the Grand Traverse Bay Watershed Protection Plan - 2005 (see below), which has been approved by both the Michigan Department of Environmental Quality and the Unites States Environmental Protection Agency. 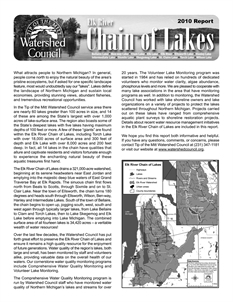 The Watershed Council has partnered with the Watershed Center of Grand Traverse Bay and various local organizations to address these issues, and in November 2010 formed the Elk River Chain of Lakes Watershed Plan Implementation Team (ERCOL WPIT)! The Elk River Chain of Lakes Watershed Plan Implementation Committee (ERCOL WPIT) has a committee webpage with the latest news, lots of cool information, meeting minutes and agendas, and the interactive Fish Shelters map. The intent of the protection plan is to assist area watershed groups, lake associations, local governments, volunteer groups, and many others in making sound decisions to help improve and protect water quality in their area. 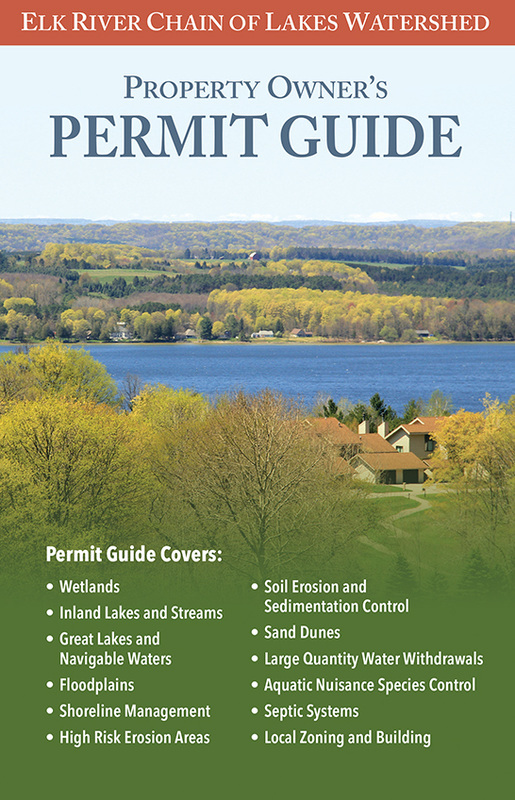 It provides recommendations on how to reduce water quality degradation and protect our valuable resource, the Grand Traverse Bay watershed. If you have plans to build, drill or fill there are some things you should know before you begin. Many home improvement activities are regulated by local, state or federal agencies. As a result, a review process and permits are often required before work begins. This process can be confusing for the homeowner seeking answers. To help you navigate through the right channels, we offer this resource to set you on your course toward achieving your property goals. Tip of the Mitt Watershed Council has worked for decades to ensure that our waters remain magnificent resources. The information and data contained in the Chain of Lakes Profile illustrates the hard work of our staff and volunteers to ensure the high water quality of lakes in our region now and in the future.